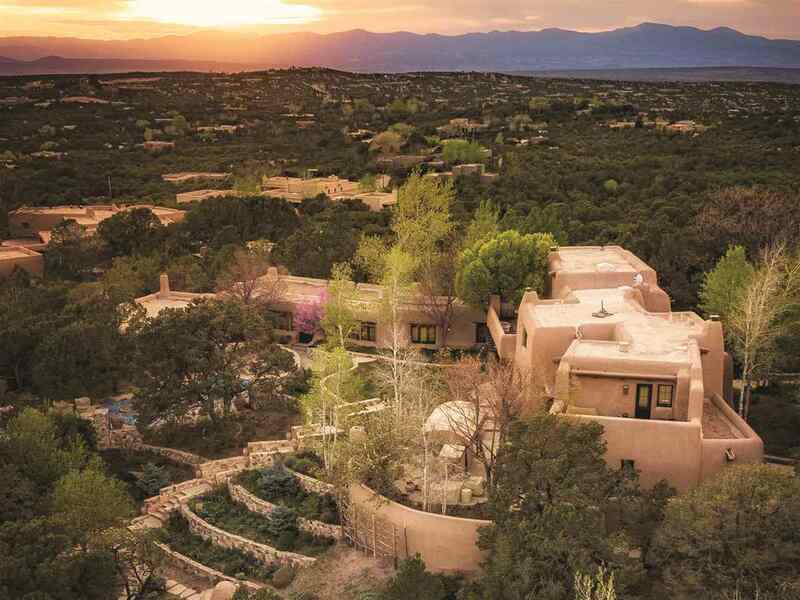 Santa Fe’s Grande Dame, Casa Alegre, sits atop the foothills of the Sangre de Cristo Mountains with 360 degree views of the surrounding Rio Grande Valley and distant mountain ranges. 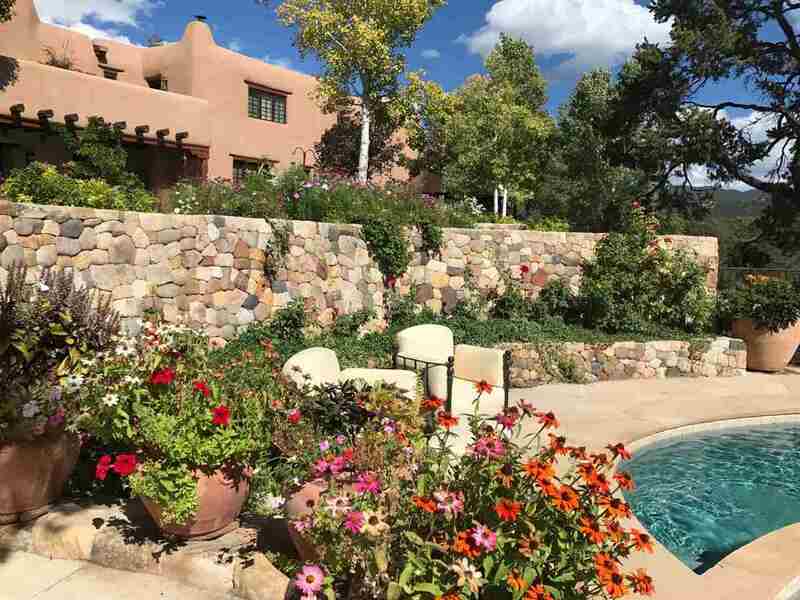 Built in the 1930’s by the soon to be Governor of New Mexico, John Dempsey, this Pueblo Revival Adobe stunner was later completely renovated with a museum curator’s eye by current owners Robert and Miryam Knutson. It’s history of being the host of festive and lavish Opera parties during Opera season and throughout the years has garnered it the affectionate title of “The Opera House.” This historic home will now be auctioned by Platinum Luxury Auctions on January 12th in Denver, Colorado and represented by Stephanie Duran, of Barker Realty, a Christie’s affiliate, in Santa Fe. 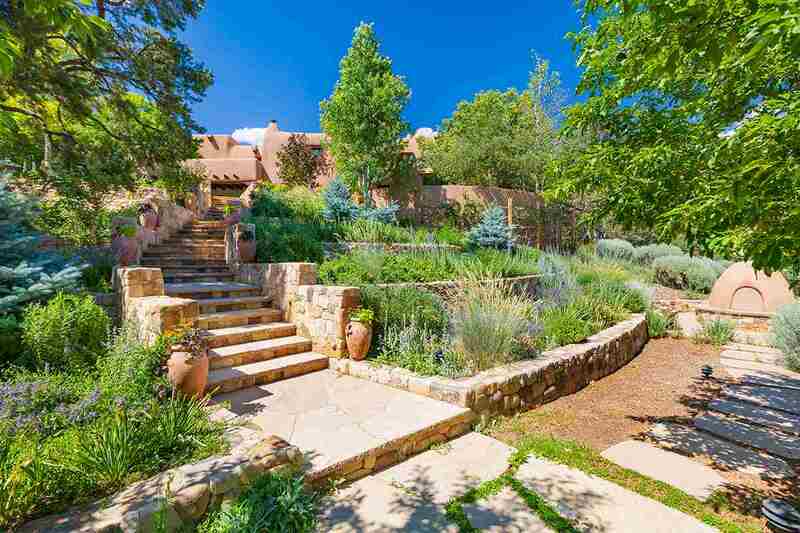 This magnificent estate, an 8300 square foot adobe masterpiece, is surrounded by 11 Acres of lush, terraced gardens and stone lined walking paths. 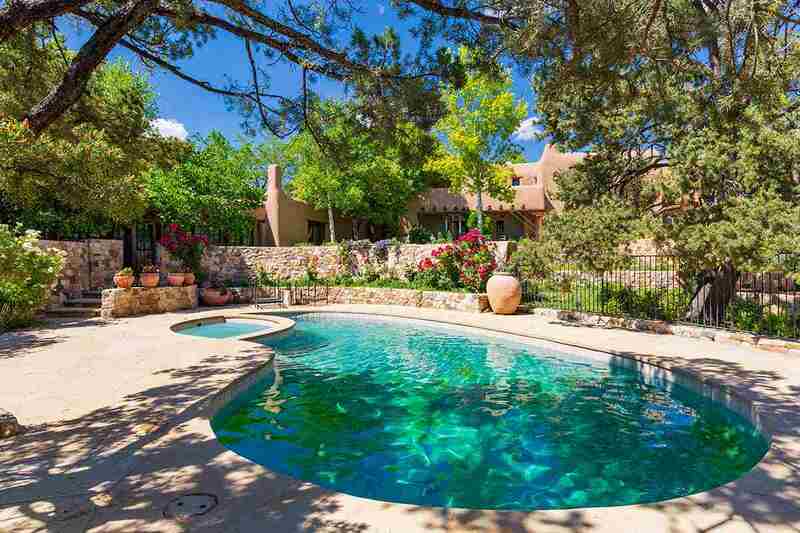 The main house is sited to overlook the inviting pool and to take advantage of the breathtaking New Mexico sunsets. The property has a park-like feel as the numerous bark walking trails wind around the property and lead you to a variety of private sitting and view areas. 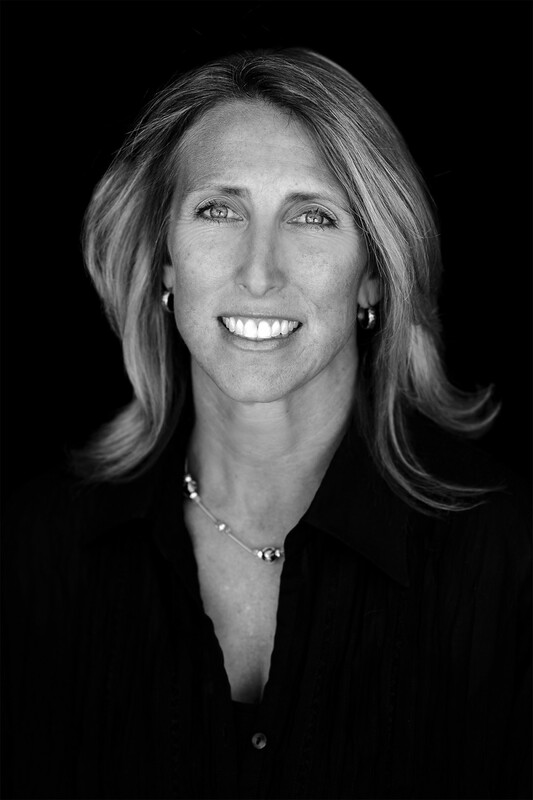 The Classic Clay Tennis Court has a viewing platform and has the feel of an exclusive private resort. 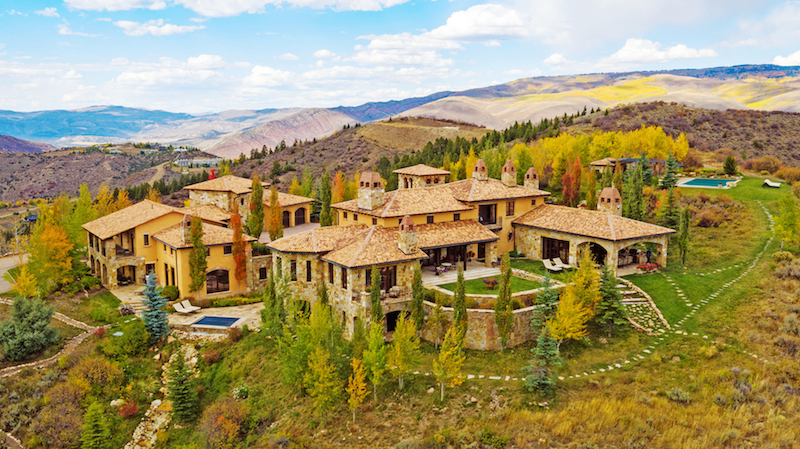 One could while away a lazy Sunday afternoon amongst the towering Aspens, colorful flowers with vines spilling over hand stacked stone walls and planters. Only ten minutes to downtown, and yet it is a world unto itself…so private and tranquil. One cannot say enough about the attention to detail and care with which this property was built and renovated. 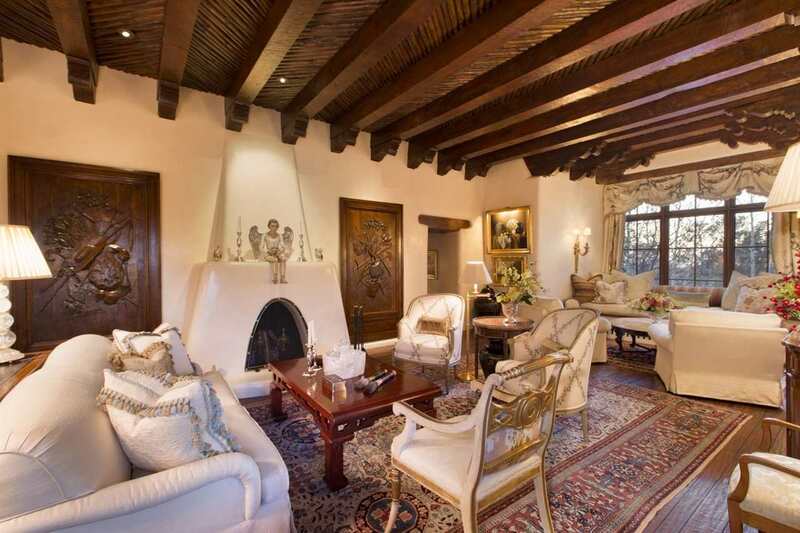 Casa Alegre, with her thick adobe walls, curved lines, wooden vigas, carved corbels, latilla ceilings, wood flooring, kiva fireplaces and nichos has all of the stamps of this Classic style. When your first enter Casa Alegre you are welcomed into a charming foyer where your eyes are immediately drawn to the curving lines of the staircase which leads up to the two gorgeous Master Suites and three private balconies. One is sure to never miss a sunset from the second floor. Downstairs the Chef’s kitchen was designed to be functional for both everyday living and for entertaining with an amazing butler’s pantry and access to a casual dining room. Just down the hall you will find the more formal dining room and the cozy library. 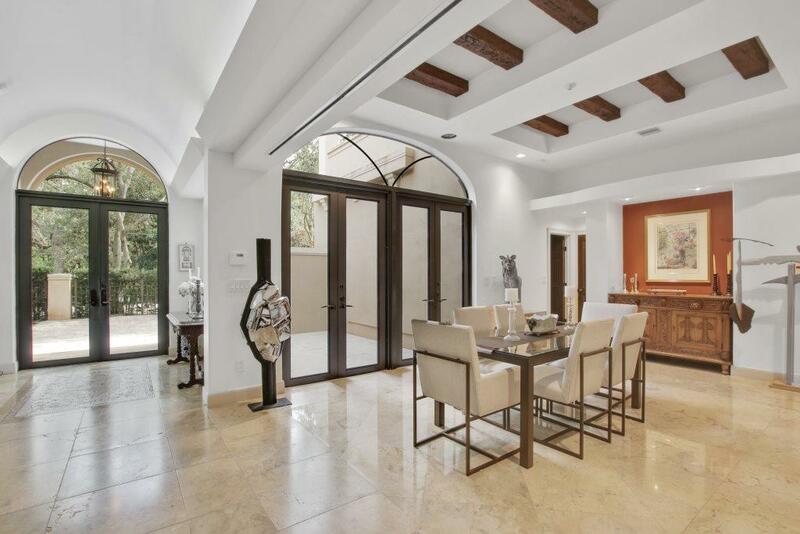 Pass through the foyer again and the home opens up into an exquisite formal living room with high ceilings, fireplace and deep window seats for reading and for enjoying the natural light streaming in through the large windows or doors opening up onto the ample back portal. Down a few steps from the formal living room you come to a more cozy, casual living space with a built in bar and access again to beautiful patios. 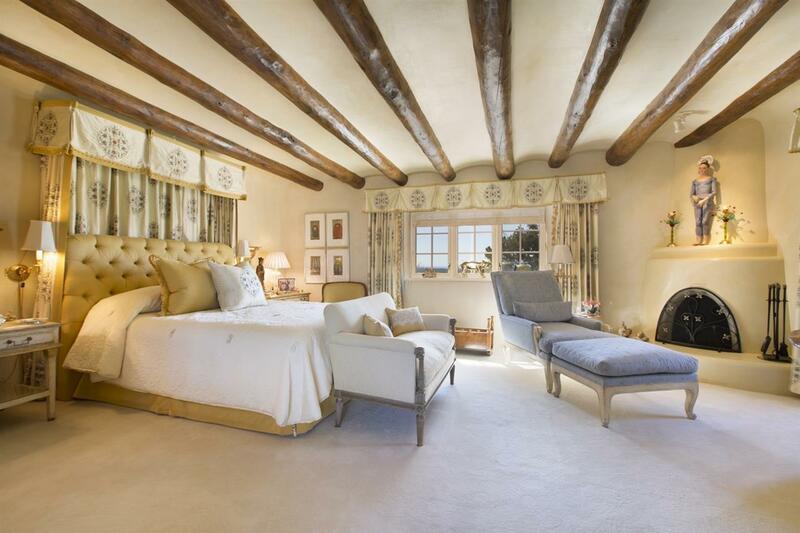 An elegant, window-lined corridor leads you to the original Dempsey bedrooms with rich carved wood and history. The downstairs floor ends with a wine room and private guest wing with two bedrooms, a sitting area, bathrooms and a small kitchen. Every direction you turn you are overwhelmed by the history and the beauty of Casa Alegre. The property also boasts three completely individual and inviting guest houses. Each are aptly named for their own unique qualities – Casita Bonita, Casita Chiquita and Casa Dulce. 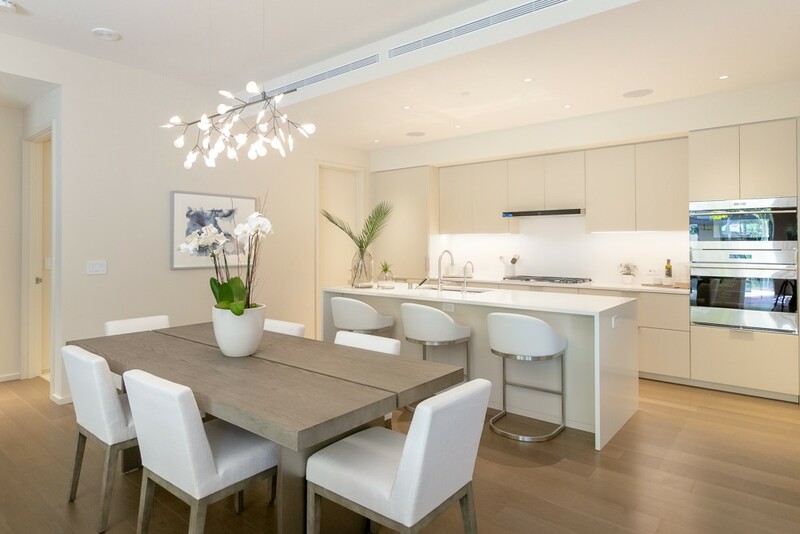 Each are fully contained with a functional kitchen, living room, bedrooms and baths and add an additional 3900 square feet of living space, bringing the total square footage of the property to over 12,000. 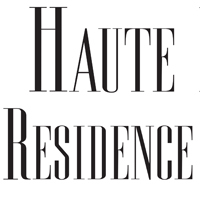 All of the guest houses are surrounded by gardens and outdoor living spaces to enjoy. There is also a six car garage with an attached office for staff or storage just off of the welcoming circle driveway. 196 Circle Drive is an experience. A feeling of serenity, of history, and of beauty that surrounds you. 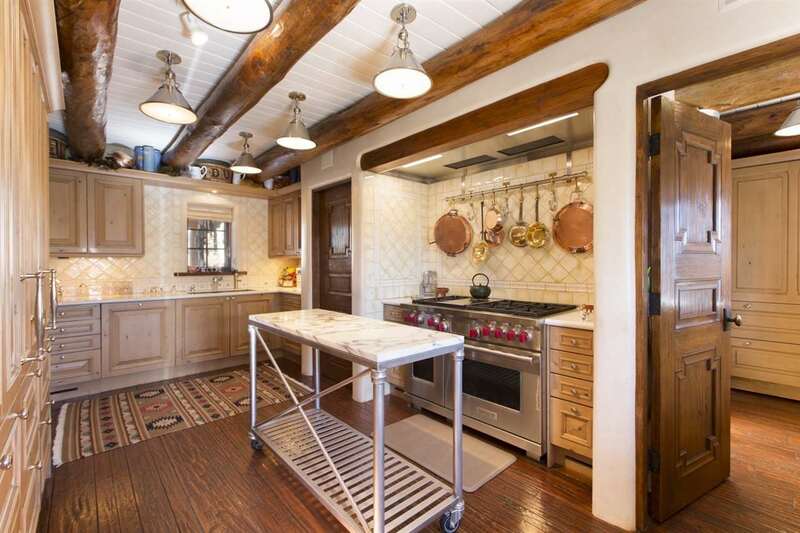 This is a property unmatched in craftsmanship and in authenticity in Santa Fe. A not to be missed opportunity to own a rare jewel. Previews are currently being held daily between 11-4 until the day of the auction.